Transferring money overseas draws hefty transfer fees and the currency exchange rate can be dismal if you do not choose the right medium. Travelers may feel shortchanged using the service of a bank. 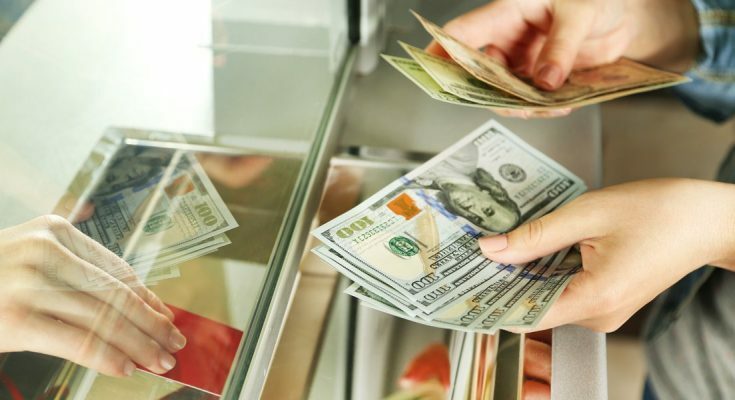 Those who routinely send or receive money will definitely want to save as much as possible and the only way to do that is to find an international money transfer service that is reasonable with its charges. The service, processing or transfer fee, or anything you call it is basically a commission being charged by the bank. It is also no secret that banks are the most lackadaisical when it comes to international money transfer. Banks require you to operate a checking account to be able to send money overseas. Many banks have minimum balance requirements. This is not as much of a concern for those who have to transfer money regularly. The problems lie in the terms of the service. Banks will take up to five days and in some cases seven days to transfer money overseas. Some banks have an expedited process but even that will take more than two to three days in most cases. The timeframe depends on wherefrom the money is being sent and where to. Banks usually charge anywhere from twenty dollars up to fifty dollars for international money transfers. Some banks that require intermediaries for overseas transfers end up levying more than fifty dollars as fees. They have to pay the intermediary banks for their services so there is a compounding effect on the transfer fee. You cannot avail any service that reduces the transfer fee to anywhere close to zero. It is impossible with banks and even with traditional nonbanking financial services. Banks offer unreasonable currency exchange rates. Senders and recipients may not realize this till they use an alternative service. What may appear to be just a few cents less transforms into a lump sum of cash when one factors in the total amount being transferred. Banks usually offer currency exchange rates that are as much as six percent above the mid-market rate. Depending on the currency being transferred and the currency an amount is being converted to, a six percent difference from the mid-market rate could be worth thousands and this sum is going straight to the kitty of the bank. There are international money transfer services such as OFX that offer a much better proposition. Just to give you a glimpse of what OFX can do, you will not be charged for an international money transfer as there is no processing or service fee, the recipient will get the money in one or two business days, there is no maximum amount or any limit to how much you can send and the exchange rate is much more favorable for the sender and the recipient. Creating an account with OFX is easier and simpler than getting started with a checking account at any major bank. There is no minimum balance requirement. OFX is not a bank. It does have a minimum transfer amount but there is no cap on how much you can send. Most banks will have a cap. There is a transfer fee for minimum amount transfers but it is waived when you send over ten thousand dollars. You can transfer money to more than a hundred and ninety countries, typically the same coverage offered by a major bank with a global presence. OFX offers a much more favorable currency exchange rate compared to every major bank. You will get half a percent above the mid-market rate. This is as close as you can get when you transfer money in one currency and it has to be converted to another. Foreign exchange rates are the most rewarding when you are trading a currency pair. Transfers always draw a slightly higher rate than the mid market figure. This means you will be getting a lower currency exchange rate. Banks bring this rate down by as much as six percent, at times more. OFX offers just half a percent from the mid-market rate. OFX is substantially cheaper. You save on transfer fees and get a much more generous currency exchange rate. Money is transferred faster and you get a host of other services including customer support and expert assistance. You also have better control over the whole process as OFX is not using two to three intermediaries. Only a few banks in the world have branches everywhere. Others use one intermediary at their domestic end to facilitate the transfer and there is another intermediary at the destination country to facilitate the transfer to the intended bank account of the recipient. This entire network of intermediaries is done away with but the recipient bank account will obviously be in the equation.